My name is Paul, I have owned dogs all my life. This is my first Rottweiler and I do not believe that I will ever own another breed. My son gave him to me as a Christmas gift. I have worked with him constantly and everyone loves him especially the granddaughters. Nobody can preclude the significance from securing instruction. You can accomplish your objective with the assistance of instruction. Presently diverse most recent advances has been presented with the assistance of instruction. Generally students have scholarly issues and they attempt their best however they can't discover trusted administrations. You ought to check our dependable custom essay writing services uk which help you to make your writing professional and academic. I would have to agree that Dodger is a very handsome guy! Thanks for sharing him here. I absolutely know what you mean when you say "you won't own another breed of dog". . . Savannah wriggled her way into our hearts so many years ago, and that was it. Then of course Chevy tried every bit of patience I had in those first few years, but turned out to be the best dog ever, and my best friend in the world. Thanks again for sharing. . . I have meet and played with dodger and he is just as loving and playful as can be. I am also a rotti owner and I am on my third one and would not ever own another breed. Dodger can't wait to see you again soon. 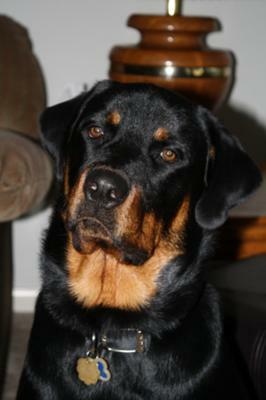 Dodger is a very handsome rottweiler. They are a wonderful breed.